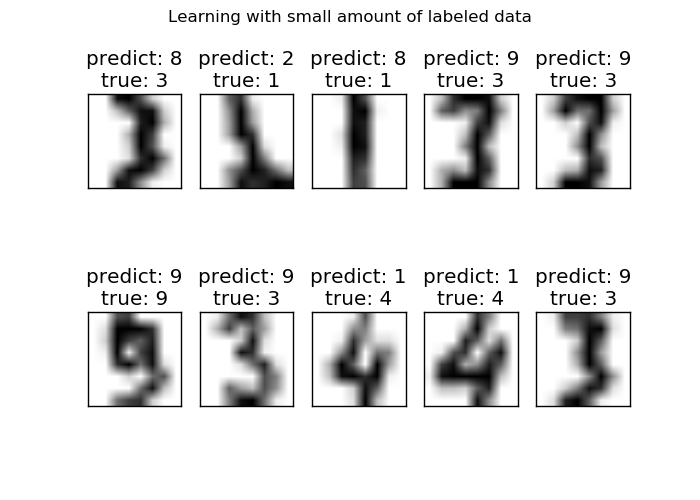 This example demonstrates the power of semisupervised learning by training a Label Spreading model to classify handwritten digits with sets of very few labels. The handwritten digit dataset has 1797 total points. The model will be trained using all points, but only 30 will be labeled. Results in the form of a confusion matrix and a series of metrics over each class will be very good. At the end, the top 10 most uncertain predictions will be shown.